Dorota Brzac is from a small Polish town. Five years ago, she enrolled her 10-year-old son Mieszko Zslemsky into the Lauder-Morasha e-Learning School. Now, he is learning Hebrew and Jewish studies, subjects that are not available to him in his largely non-Jewish community. Brzac hopes her son will one day use his Hebrew while learning and/or living in Israel, as she did decades prior. “It is so important to me,” Brzac told JeducationWorld. The Lauder-Morasha e-Learning School is the first of a network of e-learning programs started by the Ronald S. Lauder Foundation in Eastern Europe and Germany, aimed at reaching those youth who live in areas devoid of a Jewish day school but who are still interested in receiving a Jewish education. The other e-learning schools exist in Germany, Hungary, Czech Republic and Slovakia. According to Rabbi Joshua I. Spinner, executive vice president and CEO of the Lauder Foundation, Lauder tasked his staff with finding a way for every child from a Jewish family to receive a Jewish education. 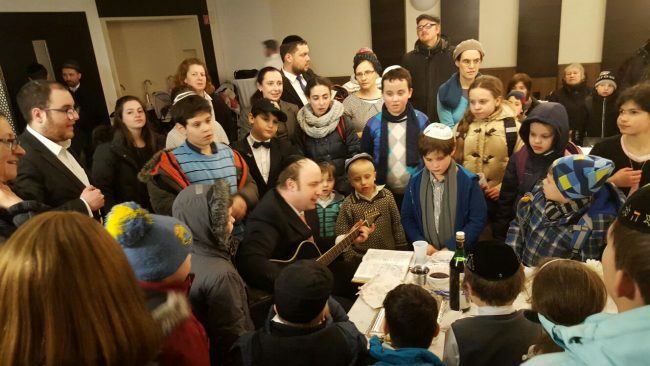 Because in many European countries families live in small towns and cannot commute far to access what is often a country’s only Jewish day school in a major city, they are cut off from their heritage. At the same time, it is not financially viable – or even practical – to send a Jewish educator to most of these far-flung communities. In most countries, the program works by harnessing the educators at already existing brick-and-mortar Lauder day schools and training them to teach online. Then, the same curricula taught in the schools are offered online. Lauder COO Nataly Fischmann said that when the Polish program launched it recruited only 20 students to test the waters. After a first year of success, today, there are 60 students. Four years ago, the German program opened. Due to the large immigration into Germany from the former Soviet Union, that e-learning program operates outside of the Jewish day school framework in Berlin. It already has 100 students enrolled and expects an increase of 20 students per year. Fifty six children are enrolled in the Czech Republic and Slovakia school and another 32 are learning in Hungary. Yet, Spinner said the curriculum is only one aspect of the e-program. 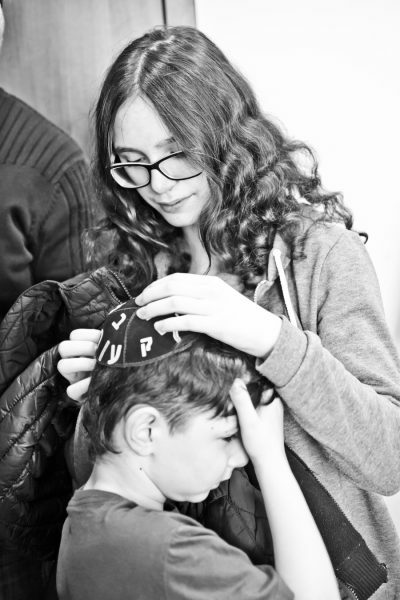 Equally important is giving students a chance to engage with other Jewish kids. Teachers open their classrooms 10-15 minutes early so students can chat online. They also keep it available for dialogue after classes end. One to three times per year, Lauder sponsors a shabbaton for parents, students and teachers to get together in person and interact. “We are creating community,” says Fischmann. Rabbi Maciej Pawlak, director of the Lauder-Morasha school in Warsaw, said that many teachers assumed students would not be able to effectively learn the classroom content while sitting in front of a computer. On the contrary, he said teachers report to him that the progress students – mostly kids between the ages of 10 and 15 – make during online classes is often greater than students in the classroom. He attributes this to the students’ motivation. “These are students who really want to learn,” Pawlak said, noting that one Lauder-Morasha e-Learning School students from “a very, very small village” made it to the finals of the International Chidon HaTanach Bible contest. Parents report that the schools have created a network for their children and families. Spinner said that while it can be very difficult for work and other reasons to move from a village to the city, where Jews can participate in a more Jewish lifestyle, this has occurred more than once as a result of the online program. Further, there have been families who have chosen to move to Israel.